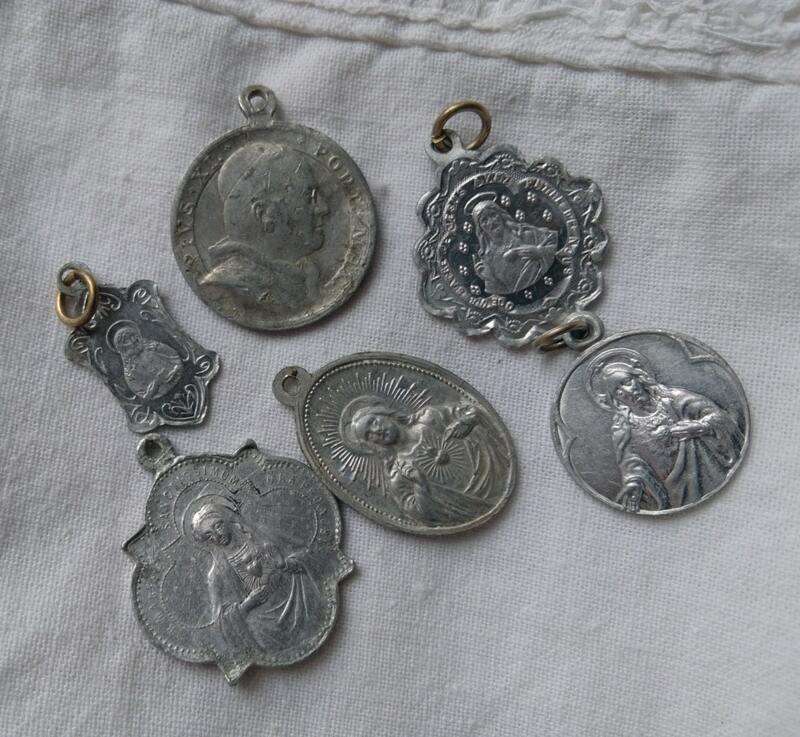 1930's aluminium Our Lady , Heart of Jesus, Paray Le Monial, 1933 Pope celebration medal. 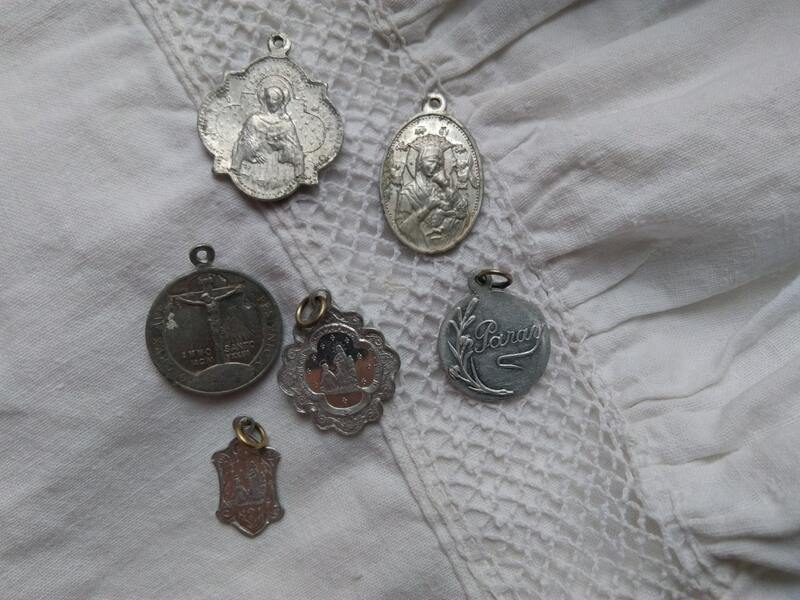 Aluminium made, was worn, vintage condition but still be gorgeous. 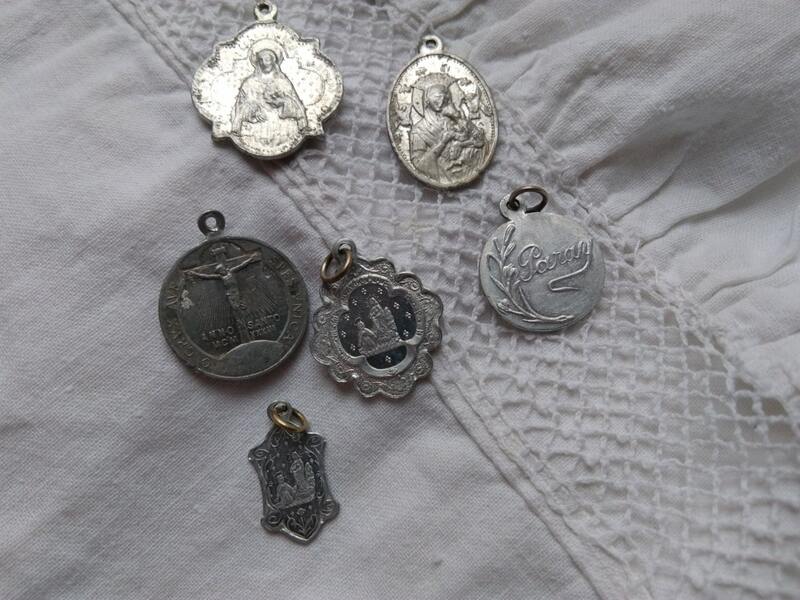 Antique Holy Protecting medals , to wear , to keep as collectible. 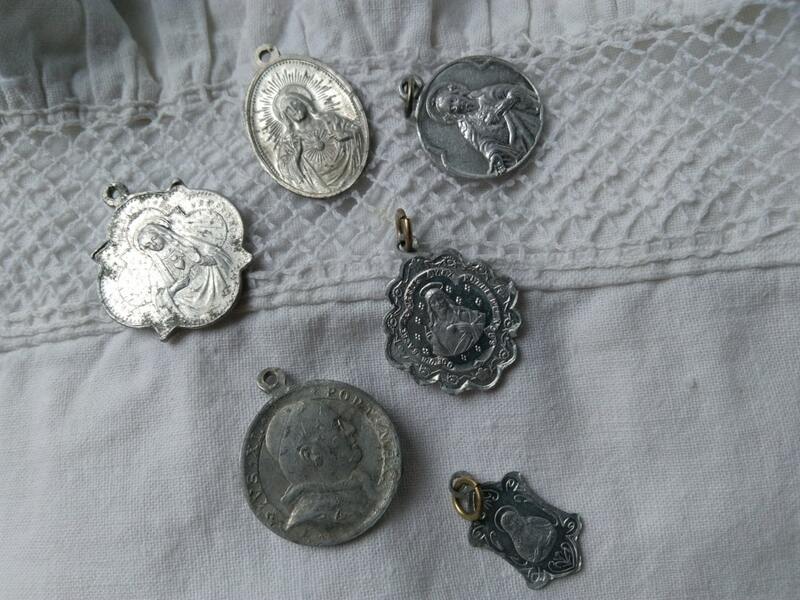 Listing is for 6 aluminium medals.